Who can't forget that classic A&P "The great store just next door" commercial? I sure can't! The store they're actually building in the beginning is the Washington, NJ A&P. The steel sticking out at the edge where he was being lifted in the crane is where the tower was. I love this commercial. But this isn't just a commercial day, it's a start of a new column at P's and Q's! It's an exclusive look at an upcoming store opening. 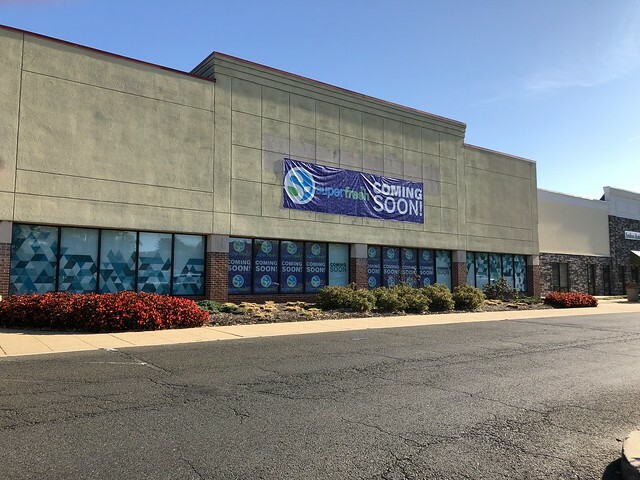 This week's is the new Superfresh opening in Plainsboro, which before that was a Superfresh... what? Let's have a look. Superfresh (by Key Food) will be opening in the old Superfresh (A&P) space by March. This store was originally planned to be a Key Food owned Food Emporium, but plans were scrapped when Key Food decided to have all their New Jersey stores named Superfresh, and try to keep Food Emporium in the New York area. 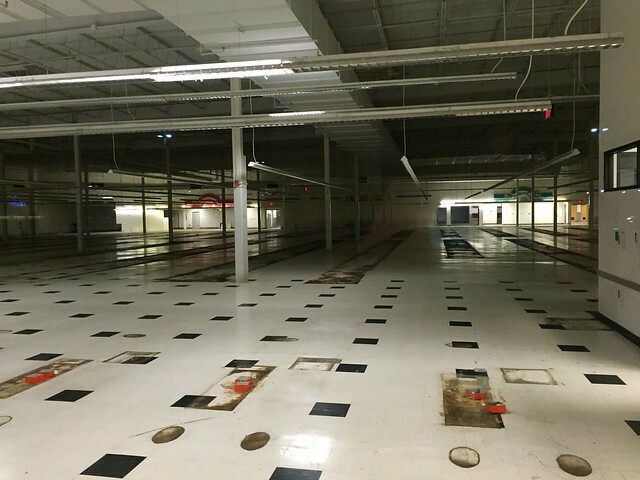 The space, a former Caldor (Superfresh kept the same facade), is around 40,000 square feet. The interior has the standard issue 90's Checkerboard look. There's really nothing special about this store, except it actually had a full-service Eight O' Clock Cafe. Today's photos come from the wonderful Dan Asnis' Flickr Photostream... Go Check Him Out! 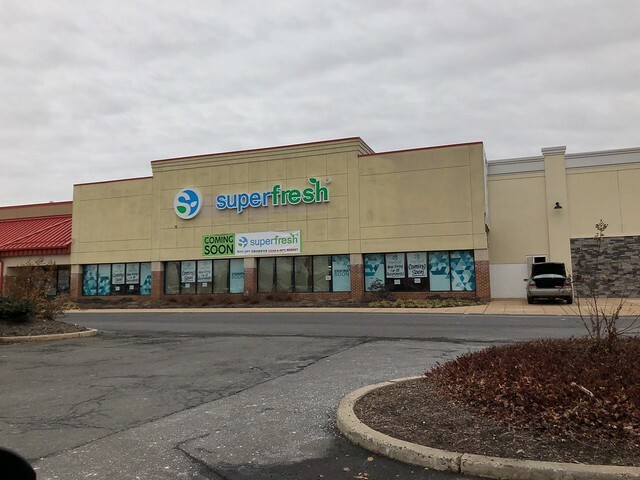 Prior to the new Superfresh sign shown here, they had a lightbox under it saying "ASIAN/INTL MARKET", which was probably not the most appealing to customers in the Plainsboro area, it did not mix with the high-quality logo that is Superfresh. Hopefully Key Food will get their act together for this store, and actually keep it open. Most A&P-acquired stores by Superfresh have not lasted long on multiple stances. Last look at the inside when it was abandoned. I found myself down a YouTube rabbit hole one night looking up old A&P commercials. I do miss them. Ah, don't we all? I always do a search every weekend to see if any more were posted. A lot of times YouTube's algorithms don't pull up certain results, but I found this one, along with many other ones in one night.